Classes are over; exams are upon us. It’s time to reacquaint yourself with your parents and siblings, and, likely, work more hours to pay for next semester’s tuition. Be sure, though, to build in a little time for leisure reading. 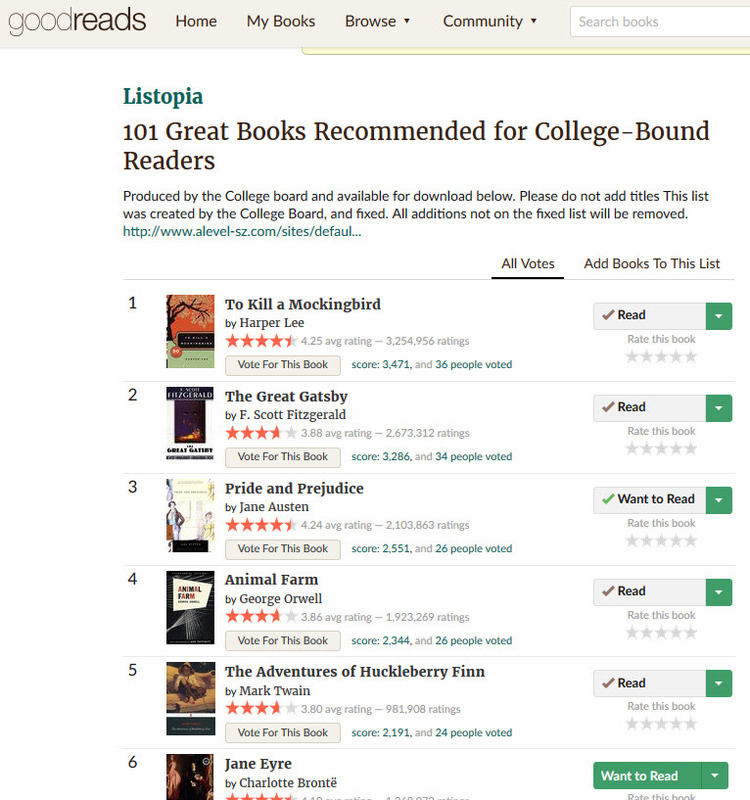 The College Board has a recommended reading list for college students that is a great place to get started. Good Reads provides the same list with social media commentary. Create a free account and then tag books as Read, Currently Reading, or Want to Read. Happy Reading! The Chronicle of Higher Education recently posted a summer reading list, Geeks at the Beach: 9 intriguing summer reads (and a video) about technology’s turning society upside down, so pick up that beach reading at GRCC’s Library & Learning Commons! Click each title for complete title and location information here at GRCC!